August 28, 2004 – Pro Wrestling Iron: Bryan Bedlam and Bart Blaxon defeated Davey Richards and Benjamin Stewart. December 12, 2004 – Pro Wrestling WAR: Tony Kozina defeated Davey Richards. January 14, 2005 – Pro Wrestling WAR: Davey Richards vs Charles Mercury ended in a draw in California. February 13, 2005 – Pro Wrestling War: Davey Richards defeated Charles Mercury in Los Angeles, California. April 10, 2005 – Pro Wrestling WAR: Super Dragon defeated Davey Richards. June 11, 2005 – Pro Wrestling Guerrilla: Puma b Davey Richards and Human Tornado in a 3-WAY (Puma was unmasked by Davey). June 24, 2005 – All Pro Wrestling: J.J. Perez defeated Davey Richards in Bakersfield, California. July 9, 2005 – Pro Wrestling Guerrilla: Davey Richards defeated Shannon Ballard in Hollywood, California. July 10, 2005 – Pro Wrestling Guerrilla: T.J. Perkins (formerly Puma) defeated Davey Richards. July 20, 2005 – Ultimate Pro Wresting: Lil Nate defeated Davey Richards with Frankie Kazarian as referee. August 6, 2005 – Pro Wrestling Guerrilla: Rocky Romero defeated Davey Richards in Los Angeles, California. August 19, 2005 – Pro Wrestling Guerrilla: Davey Richards and Hardkore Kidd defeated T.J. Perkins and Alex Shelley. September 3, 2005 – Pro Wrestling Guerrilla: Quicksilver defeated Davey Richards in Los Angeles, California. October 1, 2005 – Pro Wrestling Guerrilla: Super Dragon and Davey Richards beat El Generico and Human Tornado to win the Tag titles. October 14, 2005 – Pro Wrestling Guerilla: Super Dragon and Davey Richards defeated Chris Sabin and Petey Williams. October 21, 2005 – Pro Wrestling WAR: Davey Richards defeated Shannon Moore in La Habra, California. October 29, 2005 – AWA Pinnacle Wrestling: Davey Richards defeated Seth Knight in Pinnacle, Washington. November 18, 2005 – Pro Wrestling Guerrilla: Super Dragon and Davey Richards defeated B-Boy and Ronin to retain the tag team titles. November 19, 2005 – PWG: Super Dragon and Davey Richards defeated Disco Machine and Excalibur to retain the tag team titles. December 3, 2005 – Pro Wrestling Guerrilla: Super Dragon and Davey Richards vs Excalibur and Disco Machine ended in a No Contest. December 16, 2005 – Pro Wrestling Guerrilla: “Samoan Submission Machine” Samoa Joe defeated Davey Richards. December 18, 2005 – Pro Wrestling WAR: Low Ki defeated Davey Richards in La Habra, California. January 7, 2006 – Pro Wrestling Guerrilla: Super Dragon and Davey Richards beat El Generico and Quicksilver to retain the Tag titles. January 21, 2006 – Pro Wrestling Guerrilla: Super Dragon and Davey Richards defeated Los Luchas to retain the tag team titles. February 4, 2006 – Pro Wrestling Guerrilla: Super Dragon and Davey Richards beat Phoenix Star and Zokre to retain the tag team titles. ~~~Super Dragon and Davey Richards defeated The Kings of Wrestling (Chris Hero and Claudio Castagnoli) to retain the tag team titles. February 18, 2006 – PWG in Europe: Super Dragon and Davey Richards defeated Quicksilver and El Generico to retain the tag team titles. February 19, 2006 – PWG in Europe: Super Dragon and Davey Richards defeated Chris Bosh and Scott Lost to retain the tag team titles. February 25, 2006 – AWA Pinnacle: Davey Richards defeated Laramie Lexow in a #1 Contenders match. March 4, 2006 – PWG: Super Dragon and Davey Richards defeated Jack Evans and Roderick Strong to retain the tag team titles. March 18, 2006 – PWG: Super Dragon and Davey Richards defeated A.J. Styles and Christopher Daniels to retain the tag team titles. March 26, 2006 – AWA Pinnacle: Harry “Bulldog” Smith defeated Davey Richards to retain the Pinnacle Heavyweight title. April 8, 2006 – East Coast Wrestling Association: Davey Richards won the very prestigeous ECWA Super 8 Tournament. April 9, 2006 – Pro Wrestling Guerrilla: Super Dragon and Davey Richards defeated Cape Fear (El Generico and Quicksilver). April 15, 2006 – NWA Anarchy: Davey Richards defeated The Canadian Cougar (Tony Kozina). May 20, 2006 – Pro Wrestling Guerrilla: Chris Bosh and Scott Lost beat Davey Richards and Super Dragon to win the tag team titles. May 26, 2006 – Full Impact Pro:L Jay Lethal and Davey Richards defeated American Dragon and Jimmy Rave (Lethal pinned Dragon). May 27, 2006 – Full Impact Pro: Davey Richards defeated The Canadian Cougar (Tony Kozina). June 3, 2006 – ROH: Davey Richards defeated Jimmy Rave w/Prince Nana. June 10, 2006 – Full Impact Pro: Shingo Takagi defeated Davey Richards. June 17, 2006 – ROH: Davey Richards defeated Jimmy Rave w/Prince Nana by Submission (bloody match). June 25, 2006 – AWA Pinnacle: T.J. Wilson defeated Davey Richards to retain the AWA Pinnacle Heavyweight title. July 7, 2006 – Full Impact Pro: Davey Richards defeated B.J. Whitmer..
July 8, 2006 – Full Impact Pro: Homicide and Davey Richards defeated American Dragon and B.J. Whitmer. July 21, 2006 – ECWA: Davey Richards and Tony Kozina defeated Mozart Fontaine and Mike Tobin. July 22, 2006 – ECWA: Aden Chambers and Andrew Ryker defeated Davey Richards and Tony Kozina. July 28, 2006 – Ring of Honor: Davey Richards and Jerelle Clark defeated The Embassy (Jimmy Rave and Sal Rinauro). July 29, 2006 – ROH: Davey Richards/Jerelle Clark/Irish Airborne defeated Austin Aries/Roderick Strongs/Jack Evans/Matt Sydal. August 4, 2006 – Ring of Honor: The Briscoe Brothers (Mark and Jay) defeated KENTA and Davey Richards. August 5, 2006 – Ring of Honor: KENTA defeated Davey Richards in a Match of the Year Contender. August 12, 2006 – ROH in England: Davey Richards defeated Jimmy Rave w/Prince Nana. August 13, 2006 – ROH in England: The Briscoe Brothers defeated Matt Sydal and Davey Richards. August 17, 2006 – Premier Promotions: Davey Richards defeated B.J. Whitmer . August 18, 2006 – IPW UK: Matt Sydal defeated Davey Richards in a 1-on-1 singles match..
~~~Ashley Reed beat Paul Robinson and B.J. Whitmer and Davey Richards and Aviv Maayan and Mark Sloan in a 6-WAY. August 26, 2006 – Ring of Honor: Davey Richards defeated Alex “Sugar Foot” Payne. August 26, 2006 – Ring of Honor: The Briscoe Brothers defeated Davey Richards and Homicide. September 2, 2006 – PWG: Davey Richards defeated Ronin in the 1st Round of the Battle of Los Angeles Tournament. September 3, 2006 – PWG: Davey Richards beat Austin Aries (2nd Round) | Davey Richards beat Roderick Strong (3rd). ~~~Davey Richards defeated CIMA (from Dragon Gate) in the Finals to win the Battle of Los Angeles Tournament. September 8, 2006 – Full Impact Pro: Davey Richards defeated Delirious w/Dave Prazak. September 15, 2006 – Ring of Honor: Austin Aries defeated Davey Richards. September 16, 2006 – Ring of Honor: Davey Richards defeated Jack Evans by Submission. September 23, 2006 – AWA Pinnacle: Davey Richards (AWA) defeated El Phantasmo (NWA) by pass-out Submission. ~~~AWA (Davey Richards/Caden Matthew/Bolo/Twist) beat NWA (Seth Knight/Nelson Creed/Memphis Raines/Amazing Halo). September 24, 2006 – AWA Pinnacle: Davey Richards and Aaron Bolo beat The Ring of Kings (T.J. Wilson and Laramie Lexow). September 29, 2006 – IWA Mid South: Davey Richards defeated Jigsaw in the 1st Round of the Ted Petty Invitational. September 30, 2006 – IWA Mid South: Low Ki defeated Davey Richards in the 2nd Round of the Ted Petty Invitational. October 6, 2006 – Ring of Honor: Matt Sydal defeated Davey Richards with an Implant Driver in a Survival of the Fittest Qualifier. October 13, 2006 – Full Impact Pro: Davey Richards defeated Roderick Strong in a 1-on-1 singles match. ~~~Roderick Strong and Davey Richards defeated Cyber Kong and American Dragon w/Dave Prazak in the main event. October 14, 2006 – Full Impact Pro: American Dragon defeated Davey Richards to retain the FIP Heavyweight title. October 21, 2006 – Pro Wrestling Guerrilla: Davey Richards defeated Scott Lost. October 27, 2006 – Ring of Honor: Davey Richards defeated Jay Briscoe. October 28, 2006 – Ring of Honor: Davey Richards defeated Mark Briscoe. November 3, 2006 – Ring of Honor: Austin Aries and Roderick Strong defeated KENTA and Davey Richards. November 4, 2006 – Ring of Honor: The Briscoe Brothers defeated Delirious and Davey Richards. November 10, 2006 – Full Impact Pro: Davey Richards defeated Shingo. November 11, 2006 – Full Impact Pro: Roderick Strong and The Briscoe Brothers were left standing after an Elimination match! ~~~Team Strong = Roderick Strong (FIP Champion) and The Briscoes (FIP Tag Team Champs) and Erick Stevens and Pelle Primeau. ~~~Team Dragon = American Dragon and Davey Richards and Steve Madison and Shane Hagadorn and SHINGO. November 17, 2006 – PWG: Davey Richards and Roderick Strong defeated B-Boy and Super Dragon to win the PWG tag team titles. November 24, 2006 – Ring of Honor: Christopher Daniels and Matt Sydal defeated Davey Richards and Delirious. November 25, 2006 – Ring of Honor: Davey Richards defeated Austin Aries. December 2, 2006 – Pro Wrestling Guerrilla: Davey Richards defeated Rocky Romero in Reseda, California. December 8, 2006 – Ring of Honor: B.J. Whitmer defeated Christopher Daniels and Davey Richards and Matt Cross in 4-Corner Survival. December 9, 2006 – Ring of Honor: Jay Briscoe defeated Davey Richards. December 15, 2006 – Full Impact Pro: Davey Richards defeated American Dragon in Crystal River, Florida. December 16, 2006 – Full Impact Pro: Davey Richards defeated Gran Akuma in Inverness, Florida. December 23, 2006 – ROH: Jimmy Rave defeated Christopher Daniels and Davey Richards and El Generico in a 4-WAY. December 30, 2006 – AWA Washington: Laramie Lexow (AWA Washington Champion) vs Davey Richards ended in a time limit draw! January 13, 2007 – 1 Pro Wrestling: Davey Richards defeated El Ligero in Doncaster, England. January 26, 2007 – Ring of Honor: Rocky Romero defeating Davey Richards by Submission. January 27, 2007 – ROH: Austin Aries and Roderick Strong and Jack Evans defeated Davey Richards and Delirious and Shingo Takagi. February 2, 2007 – Full Impact Pro: Roderick Strong defeated Davey Richards in an “I Quit” match to retain the FIP Title. February 3, 2007 – Full Impact Pro: Roderick Strong defeated Davey Richards in a 2/3 Falls match to retain the FIP Title. February 9, 2007 – IWA Mid South: Chuck Taylor defeated Davey Richards to retain the IWA-MS World title. February 10, 2007 – PWG: El Generico and Quicksilver beat Roderick Strong and Davey Richards to retain the PWG tag team titles. February 16, 2007 – Ring of Honor: Roderick Strong and Davey Richards turned heel calling themselves the “No Remorse Corps”. February 17, 2007 – Ring of Honor: Roderick Strong and Davey Richards told Jack Evans to chose between them and Austin Aries. February 24, 2007 – Ring of Honor: Matt Cross and Austin Aries defeated Davey Richards and Roderick Strong. March 3, 2007 – Ring of Honor (UK): Homicide w/Julius Smokes defeated Davey Richards with a Cop Killa. March 4, 2007 – ROH (UK): Naruki Doi and Shingo Takagi defeated Davey Richards and Roderick Strong to retain the tag team titles. March 10, 2007 – Pro Wrestling Guerrilla: El Generico defeated Davey Richards to retain the PWG Heavyweight title. March 17, 2007 – Jersey All Pro Wrestling: Davey Richards participated in an 8-Man Gauntlet match for the vacant JAPW title. March 23, 2007: Davey Richards and Tony Kozina w/Mr. Phil Goode defeated Bolo and Twist to win the AWA Washington tag team titles. March 30, 2007 – Ring of Honor: Masaaki Mochizuki (Dragon Gate) defeated Davey Richards. March 31, 2007 – Ring of Honor: Jack Evans and Naruki Doi defeated Davey Richards and Rocky Romero w/Roderick Strong. April 6, 2007 – IWA Mid South: Davey Richards defeated Joker in Plainfield, Indiana. April 7, 2007 – Pro Wrestling Guerrilla: Low Ki defeated Davey Richards. April 8, 2007 – Pro Wrestling Guerrilla: Davey Richards defeated Chris Hero by Submission. April 20, 2007 – Real Quality Wrestling: Doug Williams and Go Shiozaki defeated Atsushi Aoki and Davey Richards. April 28, 2007 – King of Europe Cup 2007: Davey Richards defeated The Zebra Kid in the 1st Round of the Tournament. April 29, 2007 – King of Europe Cup 2007: Davey Richards beat Go Shiozaki | Nigel McGuiness beat Davey Richards. April 13, 2007 – Ring of Honor: Team No Remorse (captain Roderick Strong) defeated The Resilience (captain Austin Aries). ~~~Roderick Strong and Davey Richards and Rocky Romero defeated Austin Aries and Matt Cross and Erick Stevens. April 14, 2007 – Ring of Honor: No Remorse Corps (Roderick Strong and Davey Richards) defeated Jack Evans and Delirious. May 4, 2007 – Westside Xtreme Wrestling: Go Shiozaki defeated Davey Richards in Essen, Germany. May 5, 2007 – WXW Germany: PAC and Tengkwa and Tommy End beat Steve Douglas and Absolute Andy and Davey Richards. May 6, 2007 – Westside Xtreme Wrestling: PAC defeated Davey Richards in Essen, Germany. May 11, 2007 – Ring of Honor: The No Remorse Corps defeated The Resilience in a Six Man Tag Team match. ~~~Roderick Strong and Davey Richards and Rocky Romero defeated American Dragon and Erick Stevens and Matt Cross. May 12, 2007 – Ring of Honor: Davey Richards (No Remorse Corps) defeated Erick Stevens (The Resilience). May 25, 2007 – IWA Mid South: Davey Richards and B.J. Whitmer defeated BLK OUT (Joker and Sabian) in a 1st Round match. ~~~Up in Smoke (Cheech and Cloudy) defeated Davey Richards and B.J. Whitmer in a Semi-Final match of the Candido Cup. ~~~After the match: Whitmer turned on Richards and Richards demanded a match at the Ted Petty Invitational show. June 1, 2007 – AWA Washington: Davey Richards and Tony Kozina beat El Phantasmo and Kyle O’ Reilly to retain the tag team titles ! June 8, 2007 – Ring of Honor: The Resilience defeated No Remorse Corps in a Six Man Tag Team match. ~~~Matt Cross and Erick Stevens and Delirious defeated Roderick Strong and Davey Richards and Rocky Romero. June 9, 2007 – Ring of Honor: Davey Richards defeated “Iron” Matt Cross by Submission. June 10, 2007 – PWG: El Generico beat American Dragon and Davey Richards and Kevin Steen in a 4-WAY to retain the PWG Title. June 16, 2007 – NWA ECCW Pacific Cup: Davey Richards beat MR 2 (1st Round) | Scotty Mac beat Davey Richards (2nd Round). June 22, 2007 – Ring of Honor: Roderick Strong and Davey Richards defeated Erick Stevens and Matt Cross in a tag team grudge match. ~~~LATER THAT NIGHT: KENTA defeated Rocky Romero (After the match: Davey Richards turned on his mentor KENTA!). June 23, 2007 – ROH: Roderick Strong and Davey Richards and Rocky Romero defeated Erick Stevens and Matt Cross and Delirious. July 16, 2007 – ROH Live from Tokyo: Rocky Romero and Davey Richards defeated Jack Evans and Kotaro Suzuki. July 17, 2007 – ROH: American Dragon and CIMA and Naomichi Marufuji beat Davey Richards and Rocky Romero and Masaaki Mochizuki. July 21, 2007 – NWA ECCW: Davey Richards defeated Scotty Mac in Vancouver, British Columbia. July 27, 2007 – Ring of Honor: Davey Richards defeated Jigsaw in the 1st Round of the “Race to the Top” Tournament. July 28, 2007 – Ring of Honor: Davey Richards beat Pelle Primeau (2nd Round) | El Generico beat Davey Richards (3rd Round). July 29, 2007 – Pro Wrestling Guerrilla: Davey Richards defeated Fergal Devitt in Burbank, California. August 4, 2007 – IWA Mid South: Necro Butcher defeated Davey Richards in Plainfield, Indiana. August 5, 2007 – IWA Mid South: B.J. Whitmer defeated Davey Richards in Sellersburg, Indiana. August 10, 2007 – Ring of Honor: Jack Evans defeated Davey Richards by DQ when Roderick Strong and Rocky Romero interfered. August 11, 2007 – Ring of Honor: No Remorse Corps and Matt Sydal defeated The Resilience and Delirious in a Philadelphia Street Fight. ~~~Roderick Strong and Davey Richards and Rocky Romero and Matt Sydal beat August Aries and Matt Cross and Erick Stevens and Delirious. August 18, 2007 – Full Impact Pro: Erick Stevens defeated Davey Richards to retain the FIP Florida Heritage title. August 19, 2007 – Full Impact Pro: Necro Butcher w/Dave Prazak beat Davey Richards in Arcadia, Florida. August 24, 2007 – Ring of Honor: Austin Aries and Erick Stevens and Matt Cross beat Davey Richards and Jason Blade and Eddie Edwards. September 1, 2007 – Pro Wrestling Guerrilla: Nigel McGuinness defeated Davey Richards in the 1st Round of the Battle of Los Angeles. September 7, 2007 – IWA Mid South: Davey Richards defeated Ian Rotten in Plainfield, Indiana. September 8, 2007 – EPIC Pro Wrestling: Davey Richards defeated Kaos in Newhall, California. September 14, 2007 – Ring of Honor: Davey Richards (No Remorse Corps) defeated Silas Young. September 15, 2007 – Ring of Honor: Austin Aries (The Resilience) defeated Davey Richards (No Remorse Corps). September 21, 2007 – Pinnacle: Davey Richards and Tony Kozina defeated Aaron Scott and Brandon Marino to retain the tag team titles. ~~~MAIN EVENT: Davey Richards and Tony Kozina defeated Bolo and Havoc to retain the Pinnacle tag team titles. October 5, 2007 – Ring of Honor: Jack Evans and Ruckus and Jigsaw defeated Roderick Strong and Rocky Romero and Davey Richards. October 6, 2007 – ROH: No Remorse Corps (Davey Richards and Rocky Romero) beat The Resilience (Matt Cross and Erick Stevens). October 13, 2007 – IWC: “Fabulous” John McChesney defeated Davey Richards to retain the IWC Super Indy title. October 20, 2007 – EPWW: Davey Richards defeated LTP in Newhall, California. ~~~The Age of the Fall (Jimmy Jacobs and Necro Butcher) defeated No Remorse Corps (Davey Richards and Rocky Romero). October 26, 2007 – PWG: El Generico and Kevin Steen beat Super Dragon and Davey Richards to retain the PWG tag team titles. October 27, 2007 – PWG: Super Dragon and Davey Richards beat El Generico and Kevin Steen to win the PWG tag team titles. November 2, 2007 – Ring of Honor: Davey Richards (No Remorse Corps) defeated Delirious by Submission. November 9, 2007 – Full Impact Pro : Davey Richards (w/Dave Prazak and Mr. Milo Beasley) defeated Jack Evans. November 10, 2007 – ICW: Larry Sweeney defeated Justin Idol and Davey Richards in a 3-WAY Elimination match. November 23, 2007 – Pinnacle Professional Wrestling : Tony Kozina and Davey Richards participated in a Tag Team Tournament. ~~~~Richards and Kozina beat Kevin Cook and J.D. Mason (1ST) | Richards and Kozina beat Aaron Scott and Brandon Marino (2ND). ~~~Kazueki and Michael Santiago defeared Tony Kozina and Davey Richards in the Finals to win the Tournament. November 24, 2007 – NWA ECCW : Juggernaut defeated Davey Richards in Abbotsford, British Columbia. November 30, 2007 – Ring of Honor: The Briscoes defeated Davey Richards and Rocky Romero to retain the ROH tag team titles. ~~~LATER THAT NIGHT: Davey Richards defeated Human Tornado (submitted) and Erick Stevens in a Triple Threat Match. December 1, 2007 – ROH: The Briscoe Brothers and Erick Stevens defeated Roderick Strong and Davey Richards and Rocky Romero. December 7, 2007 – International Wrestling Cartel: Davey Richards defeated Ricky Reyes in Elizabeth, Pennsylvania. December 8, 2007 – International Wrestling Cartel: Ricky Reyes defeated Davey Richards in Elizabeth, Pennsylvania. December 9, 2007 – Pro Wrestling Syndicate: Kenny Omega defeated Davey Richards in Lake Hiawatha, New Jersey. December 29, 2007 – Ring of Honor: Davey Richards defeated Erick Stevens. December 30, 2007 – Ring of Honor: Naomichi Marufuji defeated Davey Richards (of the No Remorse Corps). January 25, 2008 – Ring of Honor: Erick Stevens defeated Davey Richards and Austin Aries in a 3-WAY to retain the FIP World title. February 3, 2008 – LWA: Davey Richards defeated Adam Raw in the main event in Fairview Heights, Illinois. February 23, 2008 – Ring of Honor: Davey Richards and Rocky Romero defeated Ruckus and Jigsaw to retain the ROH tag team titles. March 14, 2008 – Ring of Honor: “Mr. Wrestling” Kevin Steen defeated Davey Richards. March 15, 2008 – Ring of Honor: Claudio Castagnoli defeated Davey Richards (of the No Remorse Corps). March 16, 2008 – Ring of Honor: Davey Richards defeated Dingo in a Pre-show dark match. March 28, 2008 – Ring of Honor: Erick Stevens and Go Shiozaki and CIMA beat Roderick Strong and Davey Richards and Rocky Romero. March 29, 2008 – Ring of Honor: No Remorse Corps (Rocky Romero and Davey Richards) beat The Vulture Squad (Jigsaw and Ruckus). ~~~Davey Richards and Rocky Romero showed up later to help Roderick Strong shave the Mo-hawk off of Erick Stevens’ head! April 11, 2008 – Ring of Honor: Davey Richards defeated Kota Ibushi by Submission in Boston, Massachusetts. April 12, 2008 – Ring of Honor: The Briscoe Brothers defeated Davey Richards and Rocky Romero to win the ROH tag team titles! April 22, 2008 – EWP: Davey Richards defeated Menace in Alcoa, Tennessee. April 26, 2008 – Full Impact Pro: Tyler Black defeated Davey Richards in Crystal River, Florida. May 9, 2008 – ROH: Takeshi Morishima and Naomichi Marufuji and Go Shiozaki beat Roderick Strong and D.Richards and Rocky Romero. May 10, 2008 – Ring of Honor: Kevin Steen and El Generico defeated The No Remorse Corps (Davey Richards and Rocky Romero). May 30, 2008 – Full Impact Pro: Erick Stevens defeated Davey Richards in Crystal River, Florida. May 31, 2008 – Full Impact Pro: Scotty Too Hotty defeated Davey Richards after Erick Stevens attacked Richards. June 6, 2008 – Ring of Honor: Austin Aries and American Dragon defeated Roderick Strong and Davey Richards in the 1st Round. September 13, 2008 – Ring of Honor: Davey Richards defeated Roderick Strong w/Larry Sweeney in Tokyo, JAPAN. September 14, 2008 – Ring of Honor: Takeshi Morishima and Davey Richards defeated The Briscoe Brothers (Mark and Jay). November 1, 2008 – PWG Battle of Los Angeles: Bryan Danielson defeated Davey Richards in a first round match. November 7, 2008 – Ring of Honor: Davey Richards defeated Roderick Strong after interference from Eddie Edwards of SandS Inc.
November 8, 2008 – Ring of Honor: Davey Richards w/Bobby Dempsey defeated Jerry Lynn with the DR-driver. November 21, 2008 – Ring of Honor: Brent Albright defeated Davey Richards of Sweet and Sour Inc. in a Grudge Match. December 5, 2008 – Ring of Honor: The Briscoes won a Gauntlet to earn the right to face two Japanese legends at Final Battle. ~~~The Briscoe Brothers defeated Davey Richards and Bobby Dempsey and Brent Albright and Erick Stevens and Irish Airborne. December 6, 2008 – Ring of Honor: Brent Albright and Erick Stevens defeated Sweet and Sour Inc. (Davey Richards and Larry Sweeney). Davey Richards formed a tag team with Eddie Edwards known as the “American Wolves” managed by Larry Sweeney. December 27, 2008 – ROH: Brent Albright and Roderick Strong and Erick Stevens beat Go Shiozaki and Eddie Edwards and Davey Richards. ~~~After the match, the American Wolves walked out on Go Shiozaki and the crowd booed Shiozaki out of the building. January 11, 2009 – PWG: The Young Bucks defeated Davey Richards and Roderick Strong to retain the PWG Tag Team Titles. January 16, 2009 – Ring of Honor: The American Wolves w/Larry Sweeney defeated Jay Briscoe and Roderick Strong. January 17, 2009 – Ring of Honor: The American Wolves defeated Roderick Strong and Erick Stevens in a Lumberjack Strap match. January 30, 2009 – Ring of Honor: Kevin Steen and El Generico defeated The American Wolves to retain the ROH tag team titles. February 6, 2009 – Ring of Honor: Tyler Black defeated Davey Richards w/”Sweet and Sour” Larry Sweeney (ejected from ringside)..
February 7, 2009 – Ring of Honor: “Mr. Wrestling” Kevin Steen defeated Davey Richards w/Larry Sweeney in a singles match. ~~~Davey Richards defeated Erick Stevens (1st Round Match) | Davey Richards defeated El Generico (2nd Round Match). March 14, 2009 – Ring of Honor: Roderick Strong and Brent Albright defeated The American Wolves w/Larry Sweeney. March 20, 2009 – ROH: El Generico and KENTA defeated Nigel McGuinness and Davey Richards in the main event. March 21, 2009 – Ring of Honor: Kevin Steen and El Generico defeated The American Wolves to retain ROH World tag team titles. March 28, 2009 – Full Impact Pro: Davey Richards (w/Heartbreak Enterprises) defeated T.J. Perkins. April 3, 2009 – Ring of Honor: KENTA defeated Davey Richards to retain the GHC Junior Heavyweight title. April 9, 2009 – ROH HDTV Taping (Episode #8): The American Wolves defeated Orange Cassidy and [INSERT] in a tag team match. April 9, 2009 – ROH HDTV Taping (Episode #9): The American Wolves attacked Steen and Generico and demanded a title shot. April 10, 2009 – ROH HDTV Taping (Episode #11): Davey Richards and Eddie Edwards won the ROH World tag team titles! ~~~The American Wolves (Davey Richards and Eddie Edwards) defeated Kevin Steen and El Generico in a Tag Team Tables Match! April 11, 2009 – Pro Wrestling Guerrilla: Kenny Omega defeated Davey Richards. April 17, 2009 – ROH: Kevin Steen and El Generico and American Dragon beat Sylvain Grenier and Davey Richards and Eddie Edwards. April 25, 2009 – Ring of Honor: The American Wolves defeated Kevin Steen and Jay Briscoe to retain the ROH tag team titles. May 2, 2009 – Full Impact Pro: Davey Richards won the FIP World title by forfeit when Tyler Black had a neck injury. May 2, 2009 – Full Impact Pro: Davey Richards defeated Kenny King to retain the FIP world heavyweight title. May 8, 2009 – Ring of Honor: “Mr. Wrestling” Kevin Steen defeated Davey Richards in an Anything Goes match. May 9, 2009 – Ring of Honor: The American Wolves defeated American Dragon and Kevin Steen to retain the ROH tag team titles. June 6, 2009 – Full Impact Pro: Davey Richards defeated Brad Attitude to retain the FIP world heavyweight title. June 12, 2009 – Ring of Honor: Jay Briscoe defeated Davey Richards in a singles match. June 13, 2009 – Ring of Honor: The American Wolves defeated Kevin Steen and El Generico to retain the ROH tag team titles. June 26, 2009 – Ring of Honor: The American Wolves defeated Roderick Strong and KENTA to retain the ROH tag team titles. June 27, 2009 – Ring of Honor: Kevin Steen and El Generico defeated ROH Tag champs The American Wolves in a Non-title match. June 28, 2009 – Pro Wrestling Guerrilla: Davey Richards defeated Nick Jackson by Submission. July 25, 2009 – Ring of Honor: Davey Richards won a Toronto Gauntlet match to earn a future ROH World title shot. ~~~Jerry Lynn defeated D-Lo Brown | ~~~ | Jerry Lynn defeated Sonjay Dutt | ~~~ | Jimmy Rave defeated Jerry Lynn. ~~~Jimmy Rave defeated Necro Butcher by Countout | ~~~ | Davey Richards defeated Jimmy Rave to win the Gauntlet! July 31, 2009 – Pro Wrestling Guerrilla: Roderick Strong defeated Davey Richards. August 1, 2009 – Full Impact Pro: Davey Richards w/Heartbreak Enterprises defeated Kenny King to retain the FIP World title. September 6, 2009 – Dragon Gate USA: Davey Richards defeated Shingo Takagi in Chicago, Illinois. ~~~After the match, American Dragon passed his “the best in the world” torch to Davey Richards. September 10, 2009 – ROH HDTV Taping: Eddie Edwards and Davey Richards defeated Bryan Danielson and Roderick Strong. September 11, 2009 – ROH HDTV Taping: The American Wolves (Davey Richards and Eddie Edwards) defeated The Young Bucks. September 19, 2009 – Ring of Honor: The Briscoe Brothers defeated Davey Richards and Eddie Edwards (champions) by DQ. September 25, 2009 – Ring of Honor: Davey Richards defeated “American Dragon” Bryan Danielson by Submission. September 26, 2009 – Ring of Honor: The American Wolves (champions) defeated Kevin Steen and El Generico in a Ladder match! October 2, 2009 – Pro Wrestling Guerrilla: Davey Richards defeated Kenny King by Submission. October 3, 2009 – Full Impact Pro: Davey Richards w/Heartbreak Enterprises defeated Kenny King to retain the FIP World title. October 9, 2009 – Ring of Honor: Kenny Omega defeated Davey Richards. October 10, 2009 – Ring of Honor: The Briscoe Brothers defeated Davey Richards and Austin Aries. October 24, 2009 – All-American Wrestling: Tyler Black defeated Davey Richards in Davenport, Iowa. November 5, 2009 – ROH TV: ROH champion Austin Aries beat Roderick Strong and Davey Richards and Kenny Omega in a 4-WAY. November 6, 2009 – ROH TV Taping: Roderick Strong defeated Davey Richards in a Pick-6 Challenge match. November 13, 2009 – Ring of Honor: Austin Aries defeated Davey Richards by referee stoppage to retain the ROH World title. November 15, 2009 – 1-Pro Wrestling Afternoon Show: Davey Richards defeated Lionheart. November 15, 2009 – 1-Pro Wrestling Evening Show: Rob Van Dam defeated Davey Richards to retain the WSW World Title. November 20, 2009 – Full Impact Pro: Davey Richards defeated Drake Younger in a 1st Round of the Jeff Peterson Memorial Cup. November 15, 2009 – 1 Pro Wrestling: Rob Van Dam defeated Davey Richards to retain the WSW World Title. November 21, 2009 – Full Impact Pro: Davey Richards defeated Egotistico Fantastico in a 2nd Round match (BLOCK A). ~~~Davey Richards defeated T.J. Perkins in a Semi-Final match of the Jeff Peterson Memorial Cup Tournament. ~~~Davey Richards defeated Silas Young in the Finals of the Tournament to win the Jeff Peterson Memorial Cup. November 28, 2009 – Dragon Gate USA: Yamato defeated Davey Richards in an Open the Freedom Gate Qualifying Match. ~~~At the end of the night, Davey Richards attacked the new Open the Freedom Gate champion BxB Hulk and issued a challenge. December 6, 2009 – Dragon Gate (Japan): Masaaki Mochizuki defeated Davey Richards to win the FIP world heavyweight title. December 18, 2009 – Ring of Honor: The Briscoe Brothers and Rocky Romero defeated The American Wolves and Alex Kozlov. December 19, 2009 – Ring of Honor: The Briscoe Brothers defeated The American Wolves to win the ROH World tag team titles. January 2, 2010 – Insanity Pro Wrestling: Mid-American champion Jesse Emerson defeated Davey Richards. January 8, 2010 – Ring of Honor: The Young Bucks defeated The American Wolves in a #1 Contenders match. January 9, 2010 – Ring of Honor: The Dark City Fight Club (Kory Chavis and Jon Davis) defeated The American Wolves. January 16, 2010 – EVOLVE 1: Davey Richards defeated Kota Ibushi by submission in a spectacular main event. January 22, 2010 – All American Wrestling: Davey Richards defeated Super Crazy. January 23, 2010 – Dragon Gate USA: Davey Richards defeated Masaaki Mochizuki to recapture the FIP world heavyweight title. January 29, 2010 – Ring of Honor: The Kings of Wrestling and The American Wolves beat The Briscoe Brothers and The Young Bucks. January 29, 2010: Davey Richards was pulled from all future Dragon Gate USA and EVOLVE events effective immediately. January 30, 2010 – Pro Wrestling Guerrilla: Davey Richards defeated “Mr. Wrestling” Kevin Steen by Submission. January 31, 2010: It was revealed that Davey Richards had re-signed with Ring of Honor and would appear on all ROH events. February 5, 2010 – ROH TV Tapings: Davey Richards b Delirious in the 1st Round of the TV Title Tournament. Mike Aldren wrote (On February 8, 2010): The controversy surrounding Davey Richards pulling out of Dragon Gate USA’s Wrestlemania weekend shots in Phoenix intensified last week. Richards had verbally agreed to multiple dates with Dragon Gate and Evolve for the rest of the year despite being under contract to Ring of Honor. Dragon Gate had advertised his name for months in Phoenix, but it seems Richards balked on his commitments when confronted recently by ROH lawyers. ROH had previously agreed Richards could work for Dragon Gate although Richards had misrepresented himself to the company and claimed he wasn’t under a contract. Richards released a short statement a few days ago saying ROH was his home and he wouldn’t be working for Dragon Gate or Evolve. February 13, 2010 – Ring of Honor (8th Anniversary Show): Davey Richards defeated El Generico. February 27, 2010 – PWG: Davey Richards defeated Kenny Omega by submission to win the PWG World Heavyweight Title. ~~~Eddie Edwards defeated Davey Richards in the Finals of the Tournament to become the 1st Ever ROH TV Champion! March 19, 2010 – Ring of Honor: Tyler Black and The Briscoe Brothers defeated Chris Hero and The American Wolves. March 20, 2010 – Ring of Honor: Davey Richards defeated Kenny Omega in Mississauga, Ontario. March 25, 2010 – PCW: Kenny Omega defeated Davey Richards. March 26, 2010 – Ring of Honor: The Briscoe Brothers defeated The American Wolves to retain the the ROH tag team titles. April 1, 2010 – Squared Circle Wrestling: The American Wolves defeated Up in Smoke to win the 2CW tag team titles. April 3, 2010 – Ring of Honor: Davey Richards defeated Kenny King w/Rhett Titus. April 10, 2010 – PWG: Davey Richards defeated Roderick Strong by submission to retain the PWG World Heavyweight Title. April 23, 2010 – Ring of Honor: The American Wolves defeated The Dark City Fight Club with a Double Submission finish. April 24, 2010 – Ring of Honor: Davey Richards vs. Roderick Strong ended a time limit draw. May 1, 2010 – 2CW: 2CW tag team champions Eddie Edwards and Davey Richards defeated Bruce Maxwell and TJ Cannon to retain the titles. May 8, 2010 – NJPW: El Samurai and Koji Kanemoto defeated Davey Richards and Tama Tonga. May 21, 2010 – ROH TV Tapings: Tyler Black and Davey Richards did a contract signing for their match at Death Before Dishonor VIII. ~~~The American Wolves (Davey Richards and Eddie Edwards w/Shane Hagadorn) defeated Christopher Daniels and Roderick Strong. May 22, 2010 – ROH TV Tapings: Davey Richards knocked out ROH World champion Tyler Black with the belt. ~~~The Dark City Fight Club beat The American Wolves by DQ after Necro Butcher and Erick Stevens attacked the DCFC. June 1, 2010 – NJPW: Davey Richards, King Fale and Manabu Nakanishi defeated AKIRA, Mitsuhide Hirasawa and Tomoaki Honma. June 2, 2010 – NJPW: Davey Richards defeated Gedo. June 4, 2010 – NJPW: Davey Richards and King Fale defeated Kyosuke Mikami and Mitsuhide Hirasawa. June 5, 2010 – NJPW: Davey Richards defeated La Sombra. June 6, 2010 – NJPW: Davey Richards defeated KUSHIDA. June 8, 2010 – NJPW: AKIRA, Jushin Thunder Liger and Ryusuke Taguchi defeated Davey Richards, King Fale and Tama Tonga. June 10, 2010 – NJPW: Mitsuhide Hirasawa and Tomoaki Honma defeated Davey Richards and King Fale. June 11, 2010 – NJPW: Davey Richards defeated Jushin Thunder Liger. June 12, 2010 – NJPW: Kota Ibushi defeated Davey Richards. June 13, 2010 – NJPW: Davey Richards and La Sombra defeated Jushin Thunder Liger and Nobuo Yoshihashi. June 19, 2010 – Ring of Honor (Death Before Dishonor VIII): Tyler Black defeated Davey Richards to retain the ROH World title! June 20, 2010 – 2CW: 2CW tag team champions Davey Richards and Eddie Edwards defeated Cheech and Cloudy to retain the titles. July 3, 2010 – IWA Mid-South: Davey Richards and Egotistico Fantastico defeated Christian Able and Josh Raymond. July 10, 2010 – 2CW: J. Freddie defeated Davey Richards. July 16, 2010 – ROH TV Tapings: Roderick Strong defeated Davey Richards with a roll-up to retain his title shot. ~~~Richards refused assistance from manager Shane Hagadorn and after the match there was a confrontation. ~~~Richards attacked Hagadorn until Eddie Edwards showed up. Richards told Edwards that Shane was history! July 17, 2010 – ROH TV Tapings: The American Wolves defeated The Super Smash Brothers (Player Uno and Player Dos). July 22, 2010 – Ring of Honor: The Briscoe Brothers defeated The American Wolves (Davey Richards and Eddie Edwards). July 23, 2010 – Ring of Honor: The American Wolves defeated The Young Bucks (Nick and Matt Jackson). July 24, 2010 – Ring of Honor: Colt Cabana and El Generico defeated The American Wolves (Davey Richards and Eddie Edwards). July 30, 2010 – Pro Wrestling Guerrilla: Davey Richards defeated Chris Hero with the Ground Ankle Lock to retain the PWG World title. August 7, 2010 – NWA Legends Show: Davey Richards beat Caprice Coleman and Phill Shatter beat Chase Stevens the Semi-Finals. ~~~Phill Shatter defeated Davey Richards in the Finals to win the Future Legends Cup (presented to him by Tully Blanchard). Davey Richards announced that he was leaving pro-wrestling at the end of 2010 to become a professional fire fighter. August 22, 2010 – 2CW: Colin Delaney and Jimmy Olsen defeated Eddie Edwards and Davey Richards to win the 2CW tag team titles. August 27, 2010 – ROH Champions Challenge: Davey Richards defeated Kevin Steen. August 28, 2010 – ROH Tag Wars: Davey Richards defeated Tyler Black. September 3, 2010 – NJPW: Davey Richards, Gedo and Jado defeated Koji Kanemoto, Ryusuke Taguchi and Tiger Mask. September 4, 2010 – NJPW: Davey Richards, Gedo and Jado defeated Prince Devitt, Ryusuke Taguchi and Taichi. September 5, 2010 – NJPW: Davey Richards, Gedo and Jado) defeated Koji Kanemoto, Taichi and Tiger Mask. September 10, 2010 – NJPW: Gedo, Jado, Tomohiro Ishii and Davey Richards defeated Prince Devitt, Ryusuke Taguchi, Koji Kanemoto and Tiger Mask. September 12, 2010 – NJPW: Koji Kanemoto and Tiger Mask defeated Davey Richards and Tomohiro Ishii. September 15, 2010 – NJPW: Gedo, Jado, Tomohiro Ishii and Davey Richards defeated Prince Devitt, Ryusuke Taguchi, Koji Kanemoto and Tiger Mask. September 17, 2010 – NJPW: Prince Devitt, Ryusuke Taguchi, Koji Kanemoto and Tiger Mask defeaed Gedo, Jado, Takashi Iizuka and Davey Richards by disqualification. September 18, 2010 – NJPW: Wataru Inoue, Yuji Nagata and Koji Kanemoto defeated Takashi Iizuka, Toru Yano and Davey Richards by disqualification. September 19, 2010 – NJPW: Davey Richards, Gedo and Jado defeated Prince Devitt, Ryusuke Taguchi and Taichi. September 20, 2010 – NJPW: Davey Richards and Tomohiro Ishii defeated Koji Kanemoto and Tama Tonga. September 22, 2010 – NJPW: Davey Richards and Shinsuke Nakamura defeated Hirooki Goto and Koji Kanemoto. September 23, 2010 – NJPW: Koji Kanemoto and Manabu Nakanishi defeated Davey Richards and Tomohiro Ishii. September 24, 2010 – NJPW: Koji Kanemoto, Manabu Nakanishi and Tiger Mask defeated Takashi Iizuka, Tomohiro Ishii and Davey Richards by disqualification. September 25, 2010 – NJPW: Koji Kanemoto and Tiger Mask defeated Davey Richards and Tomohiro Ishii by disqualification. September 26, 2010 – NJPW: Koji Kanemoto defeated Davey Richards. October 4, 2010 – NJPW: Davey Richards defeated El Generico. October 9, 2010 – NSPW: NSPW champion Mathieu St-Jacques defeated Davey Richards and Alex Price in a 3-way match to retain the title. October 15, 2010 – ROH Allied Forces: ROH world tag team champions Chris Hero and Claudio Castagnoli defeated Davey Richards and Christopher Daniels to retain the titles. October 16, 2010 – ROH Richards vs. Daniels: Davey Richards defeated Christopher Daniels. October 18, 2010 – ROH TV: Davey Richards defeated Tyler Black. October 22, 2010 – PWN: Mark Sterling defeated Davey Richards in the 1st round. November 9, 2010 – NJPW: Davey Richards and Rocky Romero defeated Prince Devitt and Ryusuke Taguchi. November 10, 2010 – NJPW: La Sombra and Mascara Dorada defeated Davey Richards and Rocky Romero. November 11, 2010 – NJPW: Davey Richards, Rocky Romero and Shinsuke Nakamura defeated Koji Kanemoto, Manabu Nakanishi and Tiger Mask. November 12, 2010 – NJPW: Davey Richards and Rocky Romero defeated Jushin Thunder Liger and El Samurai. November 13, 2010 – NJPW: Davey Richards and Rocky Romero defeated FUJITA and NOSAWA Rongai. Gedo and Jado defeated Davey Richards and Rocky Romero. November 19, 2010 – NJPW: Shinsuke Nakamura, Tetsuya Naito and Davey Richards defeated Prince Devitt, Ryusuke Taguchi and Wataru Inoue. November 20, 2010 – NJPW: Prince Devitt, Ryusuke Taguchi, Koji Kanemoto and Togi Makabe defeated Gedo, Jado, Takashi Iizuka and Davey Richards. November 22, 2010 – ROH TV (Taped): Davey Richards defeated Shawn Daivari. November 22, 2010 – NJPW: Prince Devitt, Ryusuke Taguchi, Koji Kanemoto and Tiger Mask defeated Gedo, Jado, Tomohiro Ishii and Davey Richards. November 23, 2010 – NJPW: Prince Devitt, Ryusuke Taguchi and Jushin Thunder Liger defeated Gedo, Jado and Davey Richards. November 25, 2010 – NJPW: Tetsuya Naito, Yujiro Takahashi and Davey Richards defeated Prince Devitt, Ryusuke Taguchi and Hiroshi Tanahashi. November 26, 2010 – NJPW: Shinsuke Nakamura, Toru Yano and Davey Richards defeated Prince Devitt, Ryusuke Taguchi and Wataru Inoue. November 27, 2010 – NJPW: Prince Devitt, Ryusuke Taguchi and Hiroshi Tanahashi defeated Davey Richards, Tetsuya Naito and Yujiro Takahashi. November 28, 2010 – NJPW: Prince Devitt, Ryusuke Taguchi and Togi Makabe defeated Gedo, Shinsuke Nakamura and Davey Richards. November 29, 2010 – NJPW: Prince Devitt and Ryusuke Taguchi defeated Davey Richards and Takashi Iizuka by disqualification. December 1, 2010 – NJPW: Davey Richards defeated Hiromu Takahashi. December 2, 2010 – NJPW: Prince Devitt, Ryusuke Taguchi, Jushin Thunder Liger and Koji Kanemoto defeated Jado, Tetsuya Naito, Yujiro Takahashi and Davey Richards. December 4, 2010 – NJPW: Prince Devitt, Ryusuke Taguchi and Hirooki Goto defeated Gedo, Toru Yano and Davey Richards. December 5, 2010 – NJPW: Tetsuya Naito, Tomohiro Ishii, Yujiro Takahashi and Davey Richards defeated Prince Devitt, Ryusuke Taguchi, Manabu Nakanishi and Tiger Mask. December 6, 2010 – ROH TV (Taped): Davey Richards defeated Erick Stevens. December 12, 2010 – NJPW: Takashi Iizuka, Tomohiro Ishii and Davey Richards defeated Giant Bernard, Karl Anderson and Tiger Mask. December 17, 2010 – ROH Tag Classic: ROH tag team champions Chris Hero and Claudio Castagnoli defeated Davey Richards and Eddie Edwards to retain the titles. December 18, 2010 – ROH Final Battle: ROH champion Roderick Strong defeated Davey Richards to retain the title. December 19, 2010 – Square Circle Wrestling: The Motor City Machine Guns defeated Davey Richards and Eddie Edwards in a 20:00 match. December 20, 2010 – ROH TV (Taped): Roderick Strong defeated Chris Hero, Christopher Daniels, Claudio Castagnoli, Davey Richards, Jay Briscoe, Rhett Titus and Steve Corino in a gauntlet match. January 1, 2011 – IPW: Dave Crist and Jake Crist defeated Davey Richards and Eddie Edwards. January 14, 2011 – ROH Champions vs. All Stars: Davey Richards, El Generico and The Briscoe Brothers defeated Christopher Daniels, Roderick Strong, Chris Hero and Claudio Castagnoli. January 15, 2011 – ROH Only the Strong Survive: Davey Richards defeated Chris Hero. January 29, 2011 – Pro Wrestling Guerrilla: Low Ki defeated Davey Richards in Los Angeles, California. January 30, 2011 – MPW: MPW champion Ryan Taylor defeated Davey Richards to retain the title. February 5, 2011 – Dreamwave Wrestling (iPPV): Jason Hades defeated Davey Richards to retain the Dreamwave title. February 11, 2011 – AAW: AAW champion Shane Hollister defeated Davey Richards to retain the title. February 18, 2011 – 2CW: 2CW heavyweight champion Slyck Wagner Brown defeated Davey Richards to retain the title. February 19, 2011 – TRP: Davey Richards and Eddie Edwards defeated J. Freddie and Matt Magnum. February 25, 2011 – ROH World’s Greatest: Davey Richards, Charlie Haas and Shelton Benjamin defeated Roderick Strong, Claudio Castagnoli and Chris Hero. February 26, 2011 – ROH 9th Anniversary Show: Davey Richards defeated Colt Cabana. March 4, 2011 – PWG: Davey Richards and Eddie Edwards defeated Johnny Yuma and Johnny Goodtime in the 1st round. The Young Bucks defeated Davey Richards and Eddie Edwards in the semi-finals. March 5, 2011 – PWS: Davey Richards defeated Low Ki. March 11, 2011 – wXw: Davey Richards defeated Joey Ryan in the 1st round. March 12, 2011 – wXw: Davey Richards defeated Zack Sabre Jr. in the quarter-finals. March 13, 2011 – wXw: Sami Callihan defeated Davey Richards in the sem-finals. March 13, 2011 – ROH TV (Taped): Davey Richards defeated Tony Kozina. March 18, 2011 – ROH Defy or Deny: Davey Richards defeated Claudio Castagnoli. March 19, 2011 – ROH Manhattan Mayhem IV: Davey Richards defeated Christopher Daniels. March 25, 2011 – 2CW: 2CW tag team champion Colin and Jimmy Olsen defeated Davey Richards and Eddie Edwards to retain the titles. April 1, 2011 – ROH Honor Takes Stage Night 1: Davey Richards defeated Roderick Strong in a Final Battle 2010 rematch. April 2, 2011 – ROH Honor Takes Stage Night 2: Charlie Haas and Shelton Benjamin defeated Davey Richards and Eddie Edwards. April 4, 2011 – ROH TV: The Briscoes and Davey Richards defeated Kings of Wrestling w/ Sara Del Rey and Shane Hagadorn and Roderick Strong w/ Truth Martini. April 8, 2011 – SLA: ACW U-30 Young Gun champion ACH defeated Davey Richards to retain the title. April 22, 2011 – NJPW: Davey Richards, Rocky Romero and Shinsuke Nakamura defeated Prince Devitt, Ryusuke Taguchi and Hiroshi Tanahashi. April 23, 2011 – NJPW: Takashi Iizuka, Toru Yano, Davey Richards and Masato Tanaka defeated Wataru Inoue, Yuji Nagata, Hiroyoshi Tenzan and Prince Devitt. April 24, 2011 – NJPW: Takashi Iizuka, Toru Yano), Davey Richards and Rocky Romero defeated Prince Devitt, Ryusuke Taguchi, Hiroyoshi Tenzan and Wataru Inoue. April 26, 2011 – NJPW: Davey Richards, Rocky Romero and Tomohiro Ishii defeated Prince Devitt, Ryusuke Taguchi and Tama Tonga. April 27, 2011 – NJPW: Mascara Dorada, Rocky Romero and Davey Ricahrds defeated Jushin Liger, Ryusuke Taguchi and Prince Devitt. April 28, 2011 – NJPW: Davey Richards, Rocky Romero and Mascara Dorada defeated Jushin Thunder Liger, KUSHIDA and Prince Devitt. April 29, 2011 – NJPW: Gedo, Jado, Davey Richards and Rocky Romero defeated KUSHIDA, Manabu Nakanishi, Prince Devitt and Tiger Mask. May 1, 2011 – NJPW: Davey Richards, Rocky Romero and Mascara Dorada defeated Prince Devitt, Ryusuke Taguchi and Jushin Thunder Liger. May 3, 2011 – NJPW: IWGP Junior heavyweight tag team champions Prince Devitt and Ryusuke Taguchi defeated Davey Richards and Rocky Romero to retain the titles. May 4, 2011 – NJPW Live Event: Rocky Romero, Davey Richards, Tetsyua Naito and Yujiro Takahashi defeated Ryusuke Taguchi, Prince Devitt, Makabe and Tomoaki Honma. May 6, 2011 – ROH Revolution: Chris Hero and Claudio Castagnoli defeated Davey Richards and Eddie Edwards. May 7, 2011 – ROH Revolution: Davey Richards defeated Kenny King. May 13, 2011 – NJPW/AJPW East Coast Invasion Tour: Giant Bernard, Karl Anderson, Ryusuke Taguchi and Prince Devitt defeated Jado, Gedo, Davey Richards and Shinsuke Nakamura. May 14, 2011 – NJPW: Davey Richards, Rhino and Homicide defeated Makabe, Ryusuke Taguchi and Kazuchika Okada. May 15, 2011 – NJPW: Hiroshi Tanahashi defeated Davey Richards. May 21, 2011 – ROH Supercard of Honor: Davey Richards defeated Charlie Haas. May 28, 2011 – NJPW: Davey Richards defeated Jado. June 3, 2011 – NJPW: Davey Richards defeated Taichi. June 4, 2011 – NJPW: Davey Richards defeated Fujita Jr. Hayato. June 7, 2011 – NJPW: Davey Richards defeated Koji Kanemoto. June 8, 2011 – NJPW: Davey Richards defeated Kenny Omega. June 10, 2011 – NJPW: Kota Ibushi defeated Davey Richards. June 17, 2011 – C4: C4 tag team champions Kevin Steen and Mike Bailey defeated Davey Richards and Eddie Edwards to retain the titles. June 18, 2011 – CCW Live Event: Michael Elgin defeated Davey Richards. June 19, 2011 – PWG: Davey Richards defeated Michael Elgin to win the PWG Open Weight title. June 26, 2011 – Ring of Honor: Davey Richards defeated Eddie Edwards to win the ROH World championship! July 3, 2011 – Wrestling in Bercelona: ROH world champion Davey Richards defeated Tommy End to retain the title. July 8, 2011 – ROH Tag Team Turmoil: Eddie Edwards and Davey Richards defeated Roderick Strong and Michael Elgin. July 15, 2011 – FCP: ROH world champion Davey Richards defeated Trent Seven to retain the title. July 16, 2011 – Wrestling in Tipton: Davey Richards defeated Brandon Thomas. July 17, 2011 – Future Shock: Davey Richards defeated Jack Gallagher. August 4, 2011 – NWA Smoking Mountain: ROH world champion Davey Richards defeated Chase Owens to retain the title. August 6, 2011 – OVW TV (Taped): Davey Richards defeated Sean Casey. August 6, 2011 – NWA Legends fanfest Live Event: Davey Richards defeated Colt Cabana to retain the ROH world title. August 7, 2011 – RPW: Davey Richards defeated Jimmy Rave. August 14, 2011 – NWA Supreme: El Generico defeated Davey Richards, Mike Sydal and Oliver Cain in a 4-way match to win the vacant PWP heavyweigh title. August 20, 2011 – IPW: Dave Crist, Jake Crist, Sami Callihan and Tarek The Legend defeated Adam Cole, Davey Richards, Kyle O’Reilly and Tony Kozina. September 10, 2011 – PWG: PWG world champion Kevin Steen defeated Davey Richads to retain the title. September 15, 2011 – NJPW: Davey Richards, Rocky Romero and Shinsuke Nakamura defeated Prince Devitt, Ryusuke Taguchi and Hirooki Goto. September 16, 2011 – NJPW: Prince Devitt, Ryusuke Taguchi and KUSHIDA defeated Davey Richards, Rocky Romero and Gedo. September 17, 2011 – NJPW: MVP, Tetsuya Naito, Prince Devitt, and Ryusuke Taguchi defeated Yujiro Takahashi, Tomohiro Ishii, Davey Richards and Rocky Romero. September 18, 2011 – NJPW: Shinsuke Nakamura, Tomohiro Ishii and Davey Richards and Rocky Romero defeated Hirooki Goto, Tama Tonga, Prince Devitt and Ryusuke Taguchi. September 19, 2011 – NJPW: Masato Tanaka, Davey Richards and Rocky Romero defeated MVP, Tiger Mask IV and Ryusuke Taguchi. September 22, 2011 – NJPW: Prince Devitt, Ryusuke Taguchi, Hirooki Goto and Hiroshi Tanahashi defeated Shinsuke Nakamura, Tomohiro Ishii, Davey Richards and Rocky Romero. September 23, 2011 – NJPW: Tetsuya Naito, Prince Devitt and Ryusuke Taguchi defeated Tomohiro Ishii, Davey Richards and Rocky Romero. September 24, 2011 – NJPW: Hiroshi Tanahashi, Hirooki Goto, Prince Devitt and Ryusuke Taguchi defeated Shinsuke Nakamura, Takashi Iizuka, Davey Richards and Ricky Romero. September 24, 2011 – NJPW: Hirooki Goto, Prince Devitt and Ryusuke Taguchi defeated Tomohiro Ishii, Davey Richards and Rocky Romero. October 2, 2011 – Beyond Wrestling: Davey Richards defeated Johnny Gargano. Davey Richards defeated Jonny Mangue. October 2, 2011 – AIW: BJ Whitmer defeated Davey Richards. October 8, 2011 – ROH TV: ROH Champion Davey Richards defeated Roderick Strong to retain. October 10, 2011 – NJPW: Davey Richards and Rocky Romero defeated Prince Devitt and Ryusuke Taguchi to win the IWGP Juniors tag team titles. October 15, 2011 – IWL: ROH world champion Davey Richards defeated Daga to retain the title. October 16, 2011 – IWL: Davey Richards and Juventud Guerrera defeated Mike Segura and Super Crazy. October 22, 2011 – PWG: Davey Richards defeated Willie Mack. October 30, 2011 – RPW: Davey Richards defeated Kyle O’Reilly. November 6, 2011 – ROH Gateway to Honor: Kenny King and Rhett Titus defeated Davey Richards and Eddie Edwards. November 12, 2011 – ROH TV (taped): Davey Richards and Eddie Edwards defeated Roderick Strong and Michael Elgin. November 12, 2011 – NJPW: IWGP Junior heavyweight tag team champions Davey Richards and Rocky Romero defeated KUSHIDA and Tiger Mask to retain the titles. November 13, 2011 – NJPW: Davey Richards, Rocky Romero, Gedo and Jado defeated Prince Devitt, Ryusuke Taguchi, KUSHIDA and Tiger Mask. November 19, 2011 – ROH Glory by Honor X: ROH Champion Davey Richards defeated El Generico to retain. November 19, 2011 – ROH TV (taped): ROH Champion Davey Richards defeated Kyle O’Reilly. November 27, 2011 – NJPW: Prince Devitt, Ryusuke Taguchi, KUSHIDA, MVP and Tiger Mask defeated Davey Richards, Rocky Romero, Gedo, Jado and Masato Tanaka. December 10, 2011 – PWG: Davey Richards and Eddie Edwards defeated Player Dos and Player Uno. December 17, 2011 – SLA: Darin Corbin and RD Evans defeated Davey Richards and Kyle O’Reilly. December 17, 2011 – ROH TV (taped): ROH World Champion “The American Wolf” Davey Richards defeated “Unbreakable” Michael Elgin w/Truth Martini. December 23, 2011 – ROH Final Battle: ROH World Champion Davey Richards w/Team Richards defeated Eddie Edwards w/Dan “The Beast” Severn. January 4, 2012 – NJPW: Prince Devitt and Ryusuke Taguchi defeated Eddie Edwards and Rocky Romero to win the IWGP Junior heavyweight tag team titles. January 13, 2012 – RPW: Colt Cabana defeated Eddie Edwards. January 20, 2012 – ROH Homecoming: ROH Champion Davey Richards defeated Jay Lethal to retain the title. January 21, 2012 – ROH Underground: Davey Richards and Kyle O’Reilly defeated Michael Elgin and Roderick Strong to become #1 contenders at the tag team titles. January 28, 2012 – PWS: Davey Richards defeated Harry Smith. January 28, 2012 – ROH TV (taped): Davey Richards and Kyle O’Reilly defeated Caprice Coleman and Cedric Alexander. January 29, 2012 – PWG: The Young Bucks defeated Davey Richards and Harry Smith. February 17, 2012 – ROH Rise and Prove: ROH tag team champions The Briscoe Brothers defeated Davey Richards and Kyle O’Reilly to retain the titles. February 18, 2012 – NWA Smokey Mountain: Chase Owens, Menace and Sigmon defeated Davey Richards, Kyle O’Reilly and Tony Kozina. February 25, 2012 – SLA: Davey Richards and Kyle O’Reilly defeated Davey Vega and Mat Fitchett. March 4, 2012 – ROH 10th Anniversary: Eddie Edwards and Adam Cole defeated ROH World Champion Davey Richards and Kyle O’Reilly. March 10, 2012 – NJPW: IWGP Junior heavyweight champion Prince Devitt defeated Davey Richards to retain the title. March 12, 2012 – NJPW: Jushin Thunder Liger, Ryusuke Taguchi and Tiger Mask defeated Davey Richards, Rocky Romero and Gedo. March 13, 2012 – NJPW: Davey Richards, Rocky Romero and Jado defeated Jushin Thunder Liger, Ryusuke Taguchi and Tiger Mask. March 16, 2012 – NJPW: Jushin Thunder Liger, Ryusuke Taguchi and Tiger Mask defeated Davey Richards, Rocky Romero and Gedo. March 17, 2012 – NJPW: Jushin Thunder Liger, KUSHIDA, Ryusuke Taguchi and Tiger Mask defeated Davey Richards, Rocky Romero, Gedo and Jado. March 18, 2012 – NJPW: Jushin Thunder Liger, KUSHIDA, Ryusuke Taguchi and Tiger Mask defeated Davey Richards, Rocky Romero, Gedo and Jado. March 19, 2012 – NJPW: Davey Richards, Rocky Romero, Jado and Tomohiro Ishii defeated Hiromu Takahashi, Jushin Thunder Liger, Ryusuke Taguchi and Tiger Mask. March 30, 2012 – ROH Showdown in the Sun night 1: ROH Champion Davey Richards defeated Eddie Edwards and Roderick Strong in a 3-way to retain. March 31, 2012 – ROH Showdown in the Sun night 2: ROH Champion Davey Richards defeated Michael Elgin w/ Truth Martini. March 31, 2012 – ROH TV: World Champion Davey Richards defeated Ryan McBride. April 21, 2012 – AAW: Davey Richards defeated Dan Lawrence. April 27, 2012 – PWE: Davey Richards defeated ACH in the 1st round. Davey Richards defeated Blake Steel in the semi-finals. Jordan McEntyre defeated Davey Richards in the finals. May 5, 2012 – SLA: Davey Richards defeated Gerald James. May 11, 2012 – ROH Bordar Wars: Kevin Steen w/ Jimmy Jacobs defeated Davey Richards to win the ROH Championship. May 12, 2012 – ROH TV: Davey Richards defeated Rhino. May 19, 2012 – ROH The Battle of Richmond: Davey Richards defeated Jimmy Jacobs. June 1, 2012 – PWS: Jay and Mark Briscoe defeated Davey Richards and Adam Cole in a dark match. June 8, 2012 – DREAMWAVE: DREAMWAVE world champion Nick Brubaker defeated Davey Richards to retain the title. June 9, 2012 – ROH TV (Taped): Eddie Edwards defeated Davey Richards. June 9, 2012 – DREAMWAVE: Davey Richards defeated Acid. June 14, 2012 – NWA Smokey Mountains: Chase Owens and Ricky Morton defeated Davey Richards and Tony Kozina. June 15, 2012 – ROH The Nightmare Begins: Davey Richards vs. Mike Mondo ended in a time limit draw. June 22, 2012 – AAW: Davey Richards defeated Sami Callihan. June 24, 2012 – Best in the World: ROH Champion Kevin Steen defeated Davey Richards in a anything goes match. June 29, 2012 – WWC: Ray Banderas defeated Davey Richards. June 30, 2012 – WWC: Chris Angel defeated Davey Richards. July 1, 2012 – WWC: Velvet Sky and Xix Xavant defeated Melina Perez and Davey Richards. July 7, 2012 – NWA: Chance Prophet defeated Davey Richards by disqualification. July 21, 2012 – AAW Scars and Stripes: Davey Richards defeated Fit Finlay. July 22, 2012 – RPW: Cru Jones, KC McKnight, Kyle Matthews and Micah Taylor defeated Chip Day, Corey Hollis, Davey Richards and Tony Kozina. August 4, 2012 – NWA Smokey Mountains: NWA Smokey Mountain heavyweight champion Jason Kincaid vs. Davey Richards ended in a no contest. August 10, 2012 – BWP: CJ Banks defeated Davey Richards. August 11, 2012 – wXw: Axel Tischer defeated Davey Richards to become #1 contender at the world title. August 12, 2012 – wXw: Zack Sabre Jr. defeated Davey Richards. August 17, 2012 – PCW: Lionhart defeated Davey Richards, Dave Mastiff and T-Bone in a 4-way match to win the heavyweight title. August 18, 2012 – SWE: Stixx defeated Davey Richards. August 24, 2012 – FCP: Trent Seven defeated Davey Richards. August 25, 2012 – FutureShock: Davey Richards defeated Jack Gallagher to win the FSW title. September 1, 2012 – PWG: Michael Elgin defeated Davey Richards. September 2, 2012 – PWG: B-Boy, Drake Younger and Willie Mack defeated Davey Richards, Kyle O’Reilly and Joey Ryan. September 21, 2012 – AAW: BJ Whitmer and Sami Callihan defeated Davey Richards and Kyle O’Reilly. September 29, 2012 – SLA: Davey Richards defeated Bolt Brady in the 1st round. Kyle O’Reilly defeated ACH, Billy McNeil, Davey Richards, Evan Gelistico and Gerald James in a 6-way elimination match. September 30, 2012 – IPW: IPW world champion Jake Crist defeated Davey Richards to retain the title. October 6, 2012 – ROH Live Event: Davey Richards defeated Mike Mondo. October 13, 2012 – Glory by Honor: Jay Lethal defeated Davey Richards. October 13, 2012 – ROH TV: Davey Richards defeated Mike Bennett. October 26, 2012 – AAW: Davey Richards defeated Silas Young. October 27, 2012 – PWG: Sami Callihan defeated Davey Richards. November 9, 2012 – PWS The Show Must Go On: Apollyon defeated Davey Richards, Matt Hardy, AR Fox, Rich Swann and Lucifer Darksyde. November 10, 2012 – CZW: CZW world champion Masada defeated Davey Richards to retain the title. November 24, 2012 – AAW: AAW heavyweight champion Michael Elgin defeated Davey Richards to retain the title. December 1, 2012 – ROH TV: Michael Elgin defeated Davey Richards. December 15, 2012 – ROH TV: Davey Richards defeated Vinny Marseglia. December 29, 2012 – AAW: AAW tag team champions Dave and Jake Crist vs. Davey Richards and Kyle O’Reilly ended in a time limit draw. January 12, 2013 – NSPW: Davey Richards defeated Ivan Sullivan. January 19, 2013 – ROH Defy or Deny: Davey Richards defeated Kyle O’Reilly. February 9, 2013 – ROH TV: Kyle O’Reilly and Bobby Fish defeated Lancelot and Harlem Bravado, S.C.U.M (Steve Corino and Jimmy Jacobs), and The American Wolves (Davey Richards and Eddie Edwards) to earn a future Tag Title Match. February 16, 2013 – ROH TV: Davey Richards defeated Kyle O’Reilly. February 16, 2013 – ROH Honor vs. Evil: S.C.U.M. defeated Davey Richards, Michael Elgin and Adam Cole. March 2, 2013 – ROH TV: Roderick Strong, Kyle O’Reilly and Bobby Fish defeated Michael Elgin, Davey Richards and Eddie Edwards. March 2, 2013 – ROH 11th Anniversary: The American Wolves defeated Forever Hooligans. March 9, 2013 – ROH TV: Michael Elgin defeated Matt Hardy, Davey Richards and Roderick Strong #1 contenders match. April 4, 2013 – PWS Super Card of Honor Night 1: Jushin Thunder Liger defeated Davey Richards and Anthony Nese in a 3-way match. April 5, 2013 – ROH Super Card of Honor: ROH tag team champions reDRagon defeated The American Wolves to retain the ROH tag team titles. April 12, 2013 – AAW Point of No Return: AAW Heavyweight Champion Michael Elgin defeated Davey Richards to retain. April 26, 2013 – NWA-SM Smoky Mountain Cup: NWA World Junior Heavyweight Champion Chase Owens defeated Davey Richards to retain. May 11, 2013 – ROH Dragon’s Reign: The American Wolves defeated QT Marshall and RD Evans. May 17, 2013 – AAW Day of Defiance: Davey Richards defeated Mixed Martial Archie. Davey Richards and Kyle O’Reilly defeated AAW Heritage Champ ACH and AAW Champion Michael Elgin. May 18, 2013 – ROH Relentless: The American Wolves defeated Rhett Titus and Cliff Compton. May 26, 2013 – PWX: Caleb Konley defeated Davey Richards. June 7, 2013 – D1W 2nd Anniversary Show: “American Wolf” Davey Richards defeated “The Man Without Fear” Kyle Maverick. June 8, 2013 – Live and Let Die: Davey Richards defeated Cedric Alexander. June 15, 2013 – PWG: Kyle O’Reilly defeated Davey Richards. June 22, 2013 – ROH Best in the World: The American Wolves (Davey Richards and Eddie Edwards) defeated Adrenaline Rush (ACH and Tadarius Thomas). July 4, 2013 – DTU: El Texano Jr., Mascara Ano 2000 Jr. and Silver Cain defeated Davey Richards, Eddie Edwards and Tomahawk. July 5, 2013 – DTU: Davey Richards, Crazy Boy and Mari Apache defeated Eddie Edwards, Joe Lider and Fabi Apache. July 6, 2013 – DTU: Drastik Boy and Flamita defeated Davey Richards and Eddie Edwards and Daga and Eterno in a 3-way tag team match. July 11, 2013 – ROH A Night of Hoopla: Davey Richards defeated Silas Young. July 12, 2013 – ROH Reclamation: Bobby Fish defeated Davey Richards. July 13, 2013 – ROH Reclamation: Davey Richards and Eddie Edwards defeated Jay Lethal and Michael Elgin. July 20, 2013 – IWA Mid-South: Davey Richards defeated Scotty Vortekz. July 27, 2013 – ROH TV (Taped): Davey Richards and Eddie Edwards defeated Mike Sydal and Zizou Middoux. August 2, 2013 – NSPW: Ivan Sullivan and Razen defeated Davey Richards and Eddie Edwards. August 3, 2013 – ROH Allstar Extravaganza: Davey Richards and Eddie Edwards defeated Alex Kozlov and Rocky Romero to win the ROH tag team titles. August 10, 2013 – ROH TV (Taped): Michael Elgin, Kevin Steen and Tommaso Ciampa defeated Davey Richards, Eddie Edwards and BJ Whitmer. August 17, 2013 – ROH Manhattan Mayhem: Bobby Fish and Kyle O’Reilly defeated Davey Richards and Eddie Edwards to win the ROH tag team titles. September 6, 2013 – ROH Road to Greatness: Davey Richards defeated Matt Taven. September 7, 2013 – ROH Road to Greatness: Mike Bennett defeated Davey Richards. September 20, 2013 – ROH Death Before Dishonor: IWGP Junior heavyweights tag team champions Alex Kozlov and Rocky Romero defeated Davey Richards and Eddie Edwards to retain the titles. September 27, 2013 – AAW: Ethan Page and Josh Alexander defeated Davey Richards and Kyle O’Reilly. September 28, 2013 – ROH A New Dawn: Davey Richards was in the Honor Rumble won by Mark Briscoe. ROH TV champion Matt Taven defeated Davey Richards and Roderick Strong in a 3-way to retain the title. October 3, 2013 – WXW: Davey Richards and Freddy Stahl defeated Axel Dieter Jr. and Toby Blunt. October 4, 2013 – WXW: Davey Richards defeated Freddy Stahl. October 5, 2013 – HXC: Davey Richards defeated Mikey Whiplash. October 6, 2013 – Futureshock: FSW champion Cyanide defeated Davey Richards, Jack Gallagher and Zack Gibson in a 4-way to retain the title. October 11, 2013 – PCW: PCW tag team champions T-Bone and Rampage Brown defeated Davey Richards and Michael Elgin to retain the titles. October 11, 2013 – PCW: Davey Richards defeated Robbie Dynamite. October 12, 2013 – Infinite a hard day’s fight: Zack Gibson defeated Davey Richards. October 13, 2013 – SWE: Davey Richards defeated El Ligero. October 13, 2013 – SWE: Davey Richards and Michael Elgin defeated Kris Travis and Martin Kirby. October 18, 2013 – MPW/Michinoku Pro Tour in UK: MPW Tohoku Junior Heavyweight champion Kenou defeated Davey Richards to retain the title. October 19, 2013 – RPW: Zach Sabre Jr. defeated Davey Richards. October 26, 2013 – ROH TV (Taped): Davey Richards defeated Ricky Marvin. October 26, 2013 – PBW: PBW heavyweight champion Liam Thomson defeated Davey Richards and BT Gunn in a 3-way to retain the title. October 26, 2013 – RDW: Davey Richards defeated Robbie X.
October 27, 2013 – SWE: Tommy End defeated Davey Richards. October 31, 2013 – PCW: Dave Mastiff defeated Davey Richards. November 2, 2013 – ROH The Golden Dream: Davey Richards defeated ACH. November 3, 2013 – UNION: Brent Banks defeated Davey Richards in the 1st round of the King of Toronto Tournament. November 3, 2013 – SCW: Tyson Dux defeated Davey Richards. November 15, 2013 – ROH Pursuit: Roderick Strong defeated Davey Richards. November 16, 2013 – ROH Pursuit: Eddie Kingston and Homicide defeated Davey Richards and Eddie Edwards. December 6, 2013 – SLA: Davey Richards defeated Jeremy Wyatt. December 8, 2013 – Beyond Wrestling: Jonathan Gresham defeated Davey Richards. December 14, 2013 – CZW: Chris Dickinson defeated Davey Richards. December 18, 2013 – NXT: WWE tag team champions The Ascension (Rick Viktor and Konnor O’Brian defeated Derek Billington and John Cahill in a non-title match. December 20, 2013 – PWG: Johnny Gargano defeated Davey Richards. December 28, 2013 – AAW: Jimmy Jacobs defeated Davey Richards. January 10, 2014 – EVOLVE 25: EVOLVE champion AR Fox defeated Davey Richards to retain the title. January 17, 2014 – PWX: Davey Richards defeated Kyle Matthews. January 18, 2014 – PWX: Corey Hollis defeated Davey Richards. January 19, 2014 – PWX: Davey Richards defeated Rich Swann. January 24, 2014 – AAW: Louis Lyndon and Marion Fontaine defeated Eddie Edwards and Kyle O’Reilly. March 28, 2014 – DOA: Ethan HD defeated Davey Richards. May 28, 2014 – IWA Mid-South: Michael Elgin defeated Davey Richards in a dark match. July 6, 2014 – W-1: TNA tag team champions Davey Richards and Eddie Edwards defeated Koji Kanemoto and Minoru Tanaka to retain the titles. July 17, 2014 – IWA Mid-South: Davey Richards defeated John Wayne Murdoch. August 2, 2014 – NWA Mid-Atlantic: Davey Richards and Eddie Edwards defeated Corey Hollis and Adam Page by disqualification. August 3, 2014 – NWA Mid-Atlantic: Davey Richards and Eddie Edwards defeated Adam Page and Corey Hollis in a street fight. August 8, 2014 – 2CW: Davey Richards defeated 2CW heavyweight champion Nick Aldo by disqualification. Nick Aldo retains the title. October 31, 2014 – PWS: PWS tag team champions Alex and Kyle Reynolds defeated Davey Richards and Eddie Edwards to retain the titles. November 7, 2014 – AAW: Davey Richards and Eddie Edwards defeated Chris Sabin and Michael Elgin. November 22, 2014 – NWA Smoky Mountain: Davey Richards and Eddie Edwards defeated Chase Owens and Jason Kincaid. November 29, 2014 – AAW: Ethan Page and Josh Alexander defeated Davey Richards and Eddie Edwards. December 5, 2014 – NGW: NGW tag team champions James Davis and Rob Lynch defeated Davey Richards and Eddie Edwards to retain the titles. December 6, 2014 – IPW:UK: Davey Richards and Eddie Edwards defeated Michael Dante and Tommy End. December 7, 2014 – IPW:UK: James Davis and Rob Lynch defeated Davey Richards and Eddie Edwards. December 13, 2014 – CZW: CZW tag team champions Dave and Jake Crist defeated Davey Richards and Eddie Edwards to retain the titles. January 30, 2014 – TNA Impact: Davey Richards, Eddie Edwards and Samoa Joe defeated Jessie Godderz, Robbie E and Zema Ion. February 7, 2014 – TNA Live Event: Davey Richards and Eddie Edwards defeated TNA tag team champions Robbie E and Jessie Godderz by disqualification. February 20, 2014 – TNA IMPACT: The Wolves (Davey Richards and Eddie Edwards) defeated Christopher Daniels and Kazarian. March 2, 2014 – Kaisen: Outbreak: Robbie E and Jessie Godderz defeated TNA tag team champions the Wolves and Team 246 (Kaz Hayashi and Shuji Kondo) in a triple threat match to win the titles. March 27, 2014 – TNA IMPACT: The Wolves defeated Abyss and TNA world heavyweight champion Magnus. March 28, 2014 – Live Event: Davey Richards defeated Samuel Shaw. May 1, 2014 – TNA IMPACT: TNA X-Division champion Seiya Sanada and TNA tag team champions the Wolves defeated Robbie E, Jessie Godderz, and Zema Ion in a 6-man tag team match. May 29, 2014 – TNA IMPACT: MVP, Kenny King, and Bobby Lashley defeated the TNA tag team champions the Wolves and Austin Aries in a 6-man tag team match. June 5, 2014 – TNA IMPACT: Eddie Edwards defeated Davey Richards. ~~~The tag team partners were forced to wrestle. ~~~They staged a match with no real competition between them. July 17, 2014 – TNA IMPACT: TNA X-Division champion Austin Aries defeated Eddie Edwards, Davey Richards, DJ Z, Manik, Tigre Uno, Sanada, and Crazzy Steve in a “Gauntlet” match to retain the title. August 1, 2014 – TNA One Night Only X-Travaganza: The Wolves defeated Bad Influence in a ladder match. September 5, 2014 – TNA One Night Only World Cup: Ethan Carter III w/ Rockstar Spud defeated Davey Richards. November 12, 2014 – TNA IMPACT: James Storm and Abyss defeated The Wolves to win the world tag team titles. February 6, 2015 – FCP: The Wolves (Davey Richards and Eddie Edwards) defeated Jim and Lee Hunter. February 8, 2015 – RPW: The Wolves (Davey Richards and Eddie Edwards) defeated Jay and Patrick Sammon. February 26, 2015 – IWA Mid-South: Shane Mercer defeated Davey Richards. February 28, 2015 – AAW: AAW heavyweight champion Eddie Kingston defeated Davey Richards to retain the title. March 6, 2015 – TNA IMPACT: The Wolves defeated TNA world tag team champions Abyss and James Storm to win the titles. March 21, 2015 – XICW: XICW Xtreme Intense champion Orlando Christopher defeated Davey Richards to retain the title. March 27, 2015 – RNW: BT Gunn defeated Davey Richards, Kenny Williams and Stevie Xavier in a 4-way match to become #1 contender at the highland title. March 28, 2015 – SWA: Jim and Lee Hunter defeated Davey Richards and Mr. Anderson. March 29, 2015 – PCW: Roy and Zak Knight defeated Davey Richards and Will Ospreay. April 4, 2015 – BCW: BCW heavyweight champion Kid Fite defeated Davey Richards to retain the title. April 10, 2015 – TNA IMPACT: Davey Richards defeated DJ Z.
June 3, 2015 – TNA IMPACT: Bobby Roode and Austin Aries defeated Davey Richards and Eddie Edwards in the 3rd match of a “Best of 5” series. The Wolves lead the series 2-1. June 20, 2015 – Ashlynn McClure Memorial 3: Davey Richards, Syn and Tony Kozina defeated The Kult Of Kayfabe (Anton Leveigh, DJ Stunner and Osby Tomlin). June 24, 2015 – TNA IMPACT: Bobby Roode and Austin Aries defeated Davey Richards and Eddie Edwards in the 4th match of a “Best of 5” series, making the score 2-2. July 1, 2015 – TNA IMPACT: The Wolves defeated Austin Aries and Bobby Roode in match #5 of a “Best of 5 Series” for the TNA tag team championship. The Wolves win the series 3-2. August 8, 2015 – NWA Smoky Mountain: Davey Richards defeated Jordan Kage. August 14, 2015 – Infinite: Infinite Promotions Tag Team champions El Ligero and Bubblegum defeated The Wolves to retain the titles. August 21, 2015 – FCP: The Wolves defeated Trent Seven and Tyler Bate. August 22, 2015 – Future Shock: FSW tag team champions Danny Hope and Joey Hayes defeated The Wolves in a TLC match to retain the titles. August 28, 2015 – RPW: The Wolves defeated James Castle and Josh Bodom. August 29, 2015 – BWP: The Wolves defeated Drew Parker and Ethan Silver. August 29, 2015 – PCW: The Wolves defeated Martin Kirby and Joey Hayes. September 5, 2015 – DREAMWAVE: DREAMWAVE alternative champion AR Fox defeated Davey Richards to retain the title. September 6, 2015 – Dynamo Pro: Dynamo Pro heavyweight champion Jake Dirden defeated Davey Richards to retain the title. September 9, 2015 – TNA IMPACT: The Wolves defeated TNA tag team champions Trevor Lee and Brian Myers to win the titles. September 12, 2015 – PWS: Mario Bokara defeated Davey Richards. September 16, 2015 – TNA IMPACT: Team TNA (Bram, Drew Galloway, Lashley & The Wolves (Davey Richards & Eddie Edwards)) defeated Team GFW (Brian Myers, Chris Mordetzky, Eric Young, Jeff Jarrett & Sonjay Dutt) (w/Karen Jarrett) in a winner takes all match. September 17-19, 2015 – TNA House Show: The Wolves defeated Manik and Abyss to retain the titles. September 23, 2015 – TNA IMPACT: Drew Galloway defeated Bram and Davey Richards and Eddie Edwards and Lashley in a 5-way elimination match to become #1 contender for the world heavyweight title. September 26, 2015 – SWE: Jimmy Havoc defeated Davey Richards. September 28, 2015 – 2CW: The Wolves defeated Roderick Strong and Matt Jackson. October 2, 2015 – TNA Live Event: The Wolves defeated Andrew Everett and Trevor Lee to retain the titles. October 3, 2015 – TNA Live Event: The Wolves defeated Andrew Everett and Jessie Godderz to retain the titles. October 4, 2015 – TNA Bound for Glory: The Wolves defeated Brian Myers and Trevor Lee to retain the titles. October 14, 2015 – TNA IMPACT: Matt Hardy defeated Davey Richards in the title series. October 17, 2015 – RCW: RCW British Commonwealth champion Mentallo defeated Davey Richards to retain the title. October 24, 2015 – Superstars of Wrestling: GWC champion Jimmy Rave defeated Davey Richards to retain the title. October 25, 2015 – AML: The Wolves were in the tag team gauntlet battle royal for the tag titles won by Elliot Russel and Sigmon. November 13, 2015 – SLA: SLA heavyweight champion Gerald James defeated Davey Richards in a best 2 out of 3 falls match to retain the title. November 14, 2015 – HOH IX: TNA world tag team champions The Wolves defeated Bobby Roode and Austin Aries to retain the titles. November 21, 2015 – OVW Brews & Bruises: The World’s Greatest Tag Team (Charlie Haas and Shelton Benjamin) defeated The Wolves (Davey Richards and Eddie Edwards) in the 1st round. November 27, 2015 – WrestleCade: TNA world tag team champions The Wolves defeated Andrew and Erik Lockhart to retain the titles. November 28, 2015 – AML: AML tag team champions Elliot Russel and Sigmon defeated The Wolves to retain the titles in a dark match. November 29, 2015 – PWX: PWX tag team champions Adam Page and Corey Hollis defeated The Wolves & The Bravado Brothers in a 3-way tag team match to retain the titles. December 11, 2015 – PWG: Brian Cage and Michael Elgin defeated The Wolves. December 13, 2015 – Wrestling Superstars: The Wolves defeated Caoz and Kaiser, Gladiator and Hellspawn & El Megastar and Panama Jack Daniels in a 4-way tag team match to win the vacant tag team titles. January 8, 2016 – TNA One Night Only – Live: TNA world tag team champions The Wolves defeated Eli Drake and Jessie Godderz & Kurt Angle and Drew Galloway in a 3-way tag match to retain the titles. January 12, 2016 – TNA IMPACT: The Wolves (Davey Richards, Eddie Edwards) and Tigre Uno defeated DJ Z, Eli Drake and Jessie Godderz. February 5, 2016 – TNA One Night Only – Rivals (Taped): Eddie Edwards defeated Davey Richards. February 13, 2016 – TNA Xplosion: TNA world tag team champions The Wolves defeated Mark Andrews and Will Ospreay to retain the titles. July 12, 2016 – TNA Destination X: Davey Richards returned to TNA coming to the rescue of his partner Eddie Edwards in the attack of Bobby Lashley. November 19, 2016 – PWX: Zack Sabre Jr. defeated Davey Richards in the 1st round of the X 16 tournament. December 3, 2016 – MCW: The Wolves (Davey Richards and Eddie Edwards) defeated The Appalachian Outlaws (Bo Nekoda and Cousin Clay). December 30, 2016 – AAW: Matt Riddle defeated Davey Richards. January 6, 2017 – TNA One Night Only – Live: Lashley defeated Davey Richards. January 12, 2017 – IMPACT Wrestling: The Broken Hardy’s (Brother Nero and Matt Hardy) defeated The Wolves (Eddie Edwards and Davey Richards) to retain the TNA world tag team titles. January 20, 2017 – AAW: Matt Sydal defeated Davey Richards. January 21, 2017 – Xplosion: Davey Richards defeated Kingston. January 28, 2017 – Beyond Robbing Peter: The American Wolves (Davey Richards and Eddie Edwards) defeated Da Hit Squad (Dan Maff and Monsta Mack). January 29, 2017 – Beyond Paying Paul: The American Wolves (Davey Richards and Eddie Edwards) defeated EYFBO (Angel Ortiz and Mike Draztik). February 4, 2017 – Xplosion: Davey Richards defeated Andrew Everett. February 4, 2017 – PWK/RCW/SSW: Shane Mercer defeated Davey Richards. February 9, 2017 – IMPACT Wrestling: Davey Richards turned on his partner Eddie Edwards by costing him the rematch for the world heavyweight title. February 16, 2017 – IMPACT Wrestling: Davey Richards vs. Eddie Edwards in a street fight ended in a no contest. 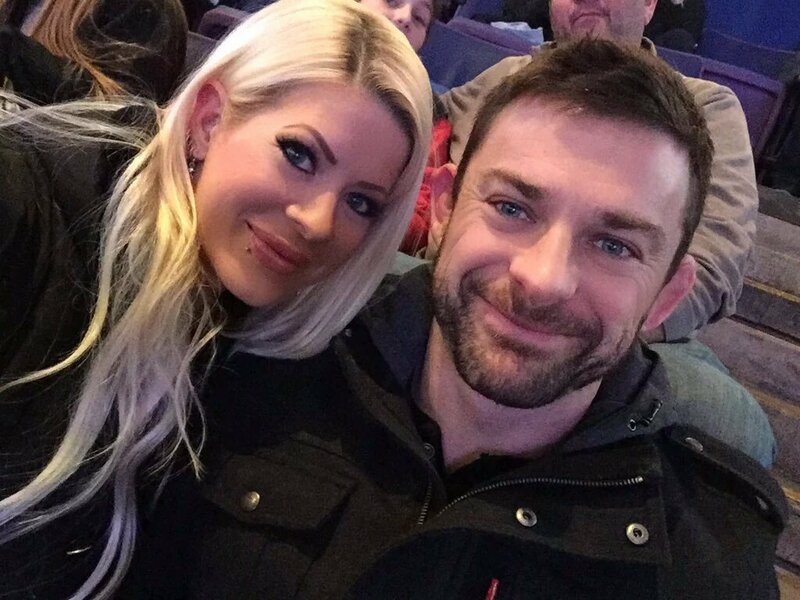 March 21, 2017 – IMPACT Wrestling: Davey Richards w Angelina Love defeated Suicide. March 25, 2017 – ESW: Braxton Sutter defeated Davey Richards. March 26, 2017 – Smash: Braxton Sutter defeated Davey Richards. 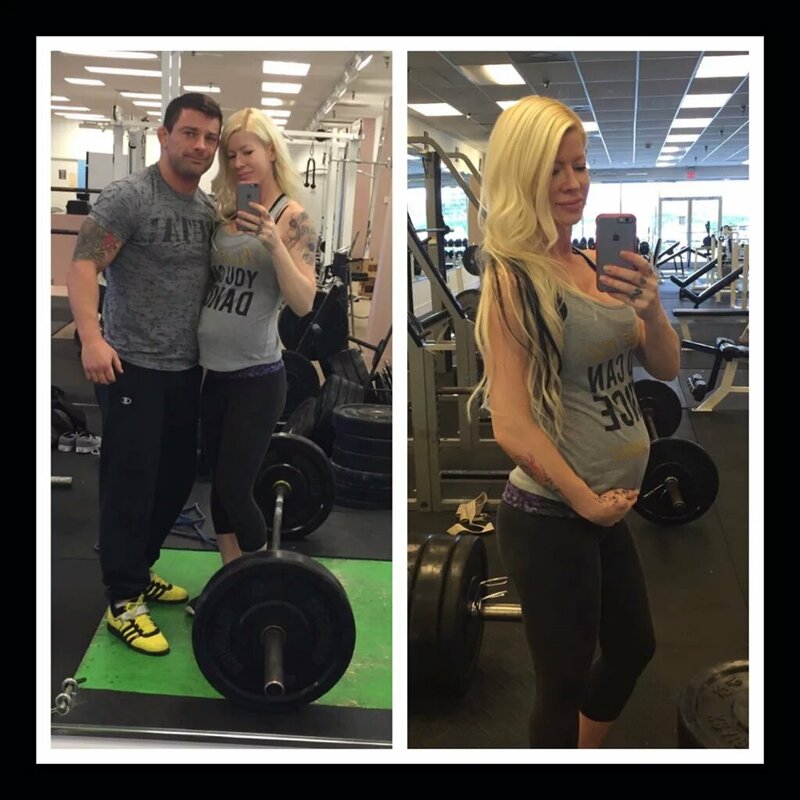 April 6, 2017 – IMPACT Wrestling: Davey Richards w Angelina Love defeated Eddie Edwards in a last man standing match. April 7, 2017 – DEFY2: Davey Richards defeated Jeff Cobb. April 9, 2017 – Smash: Davey Richards defeated Tony Kozina. April 27, 2017 – IMPACT Wrestling: Davey Richards w Angelina Love vs Moose ended in a no contest. Moose retains the IMPACT Grand title. May 5, 2017 – PWR: Brian Cage, Davey Richards and Michael Elgin defeated OI4K (Dave Crist, Jake Crist and Sami Callihan). May 11, 2017 – IMPACT Wrestling: Alisha w Eddie Edwards defeated Angelina Love w Davey Richards by disqualification. May 11, 2017 – IMPACT Wrestling One Night Only (Taped) – Turning Point): Davey Richards defeated Suicide. May 20, 2017 – WAR Utah: Angelina Love and Davey Richards defeated Cage Assasin and Desi De Rata. May 25, 2017 – IMPACT Wrestling: Alisha and Eddie Edwards defeated Angelina Love and Davey Richards. June 8, 2017 – IMPACT Wrestling: Davey Richards defeated Vinaash Verma. June 17, 2017 – Kamikaze Pro: Davey Richards defeated Gabriel Kidd. June 18, 2017 – SWE: Davey Richards defeated Bubblegum to retain the CZW world heavyweight title and winning the SWE Speed King title. June 22, 2017 – IMPACT Wrestling: Matt Sydal defeated Braxton Sutter and Davey Richards and Eddie Edwards and Suicide and Trevor Lee in a guantlet match. June 29, 2017 – DEFY4: Davey Richards defeated Darby Allin the semi-finals and retaining the CZW world heavyweight title. Davey Richards defeated Shane Strickland to win the tournament and vacant 8xGP title. July 2, 2017 – IMPACT Slammiversary XV: Alisha Edwards and Eddie Edwards defeated Angelina Love and Davey Richards in a full metal mayhem match. July 8, 2017 – CZW: Shane Strickland defeated Davey Richards to win the DEFY 8xGP title and the CZW world heavyweight title. July 24, 2017: Davey Richards announced that he requested his released from GFW and was granted. He also said on his twitter page that he is becoming a full time doctor, but is still taking wrestling bookings par time. July 27, 2017 – GFW IMPACT: Taiji Ishimori defeated Davey Richards in the 1st round of the Super X cup.